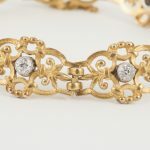 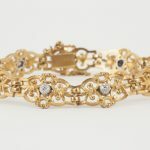 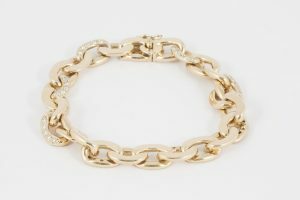 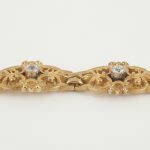 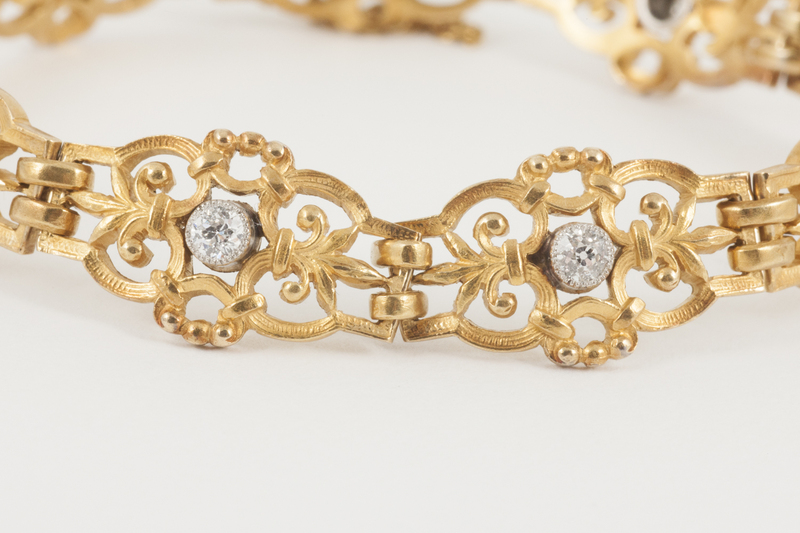 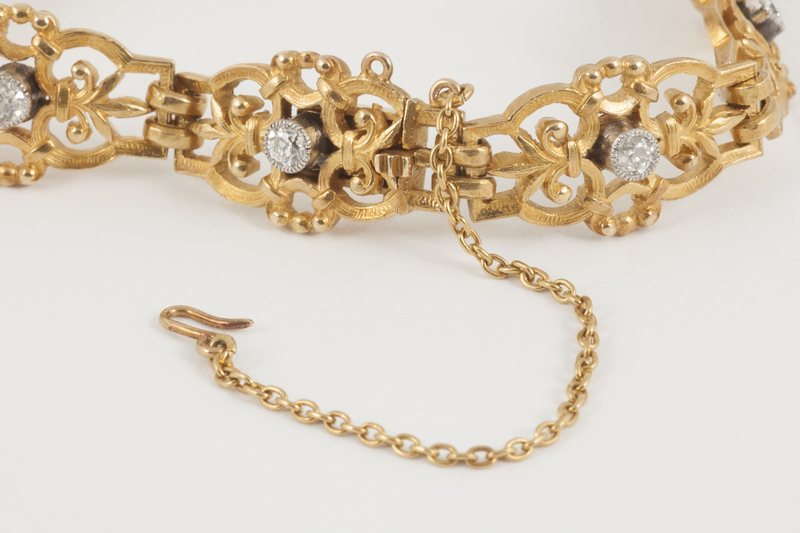 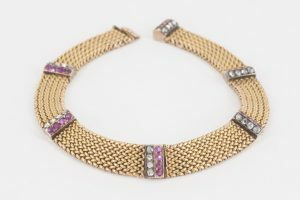 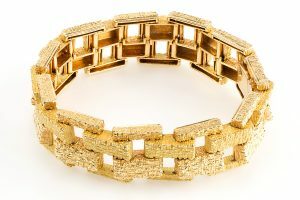 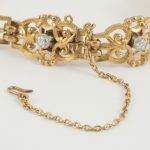 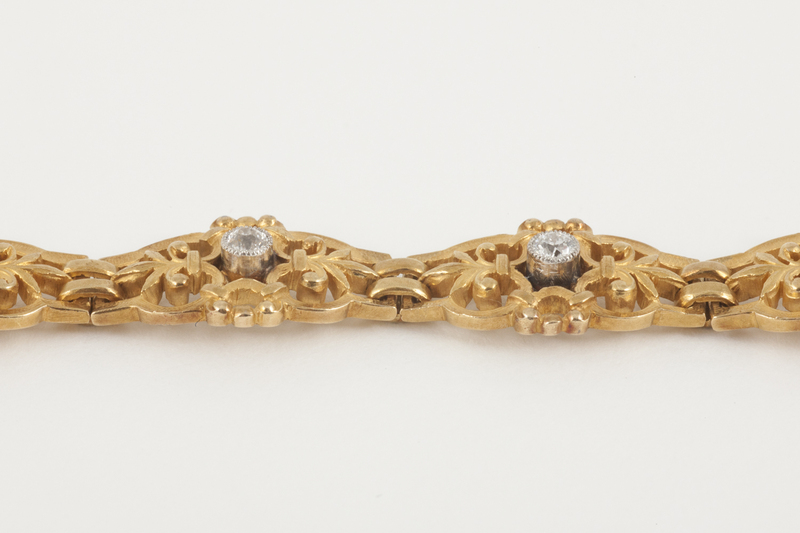 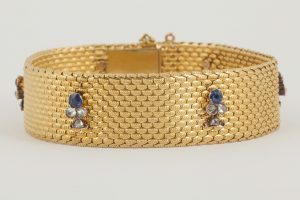 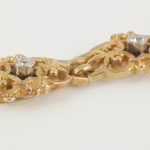 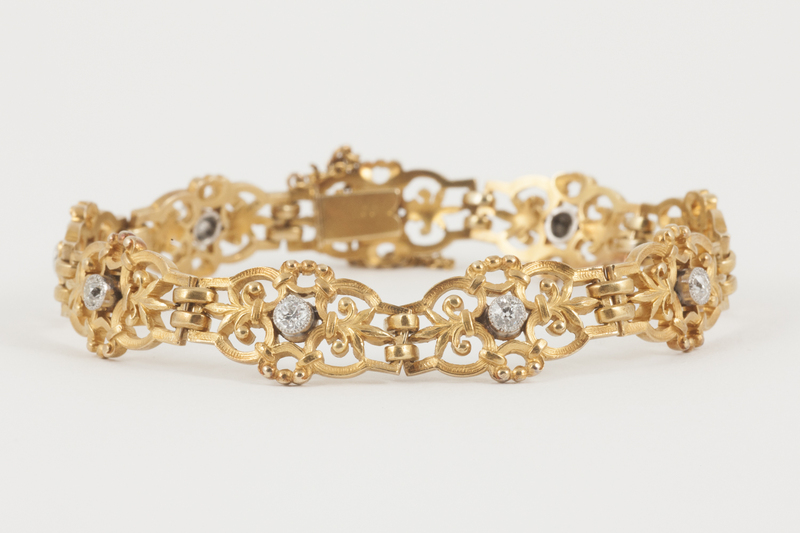 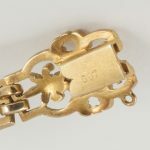 A heavy quality 18 karat yellow gold antique bracelet with openwork Fleur de Lys panels, each with a platinum set brilliant cut diamond centre. 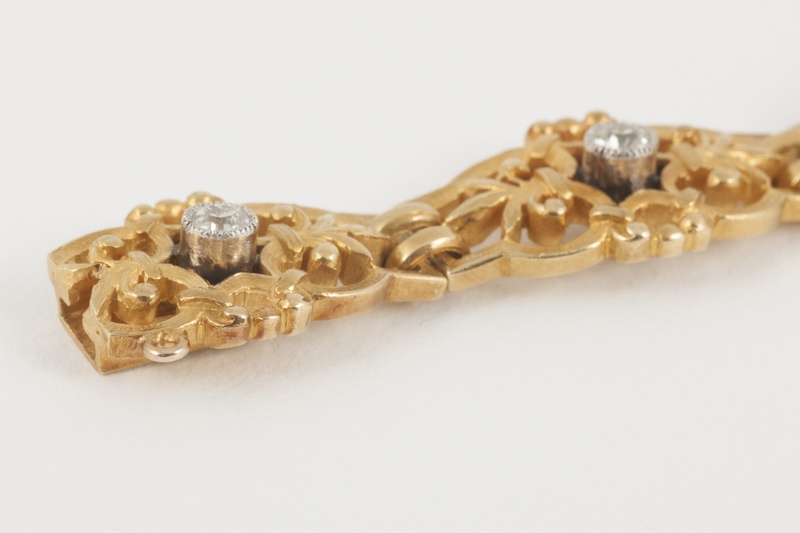 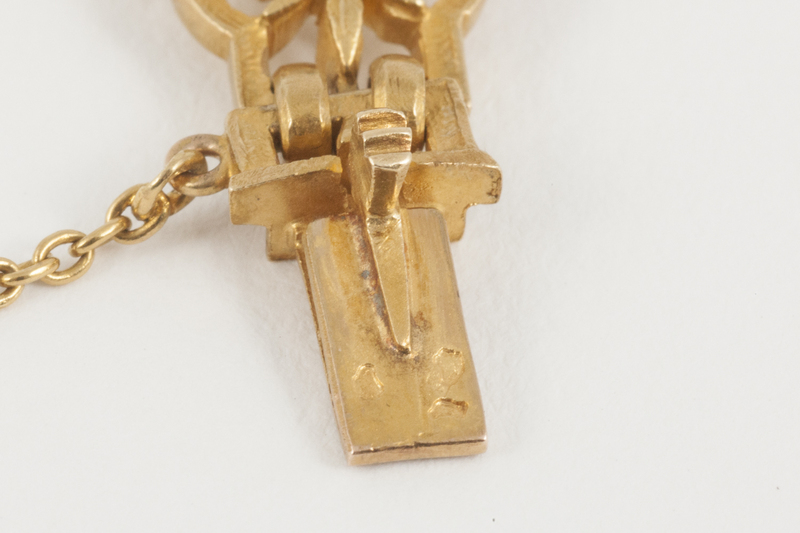 In perfect condition. 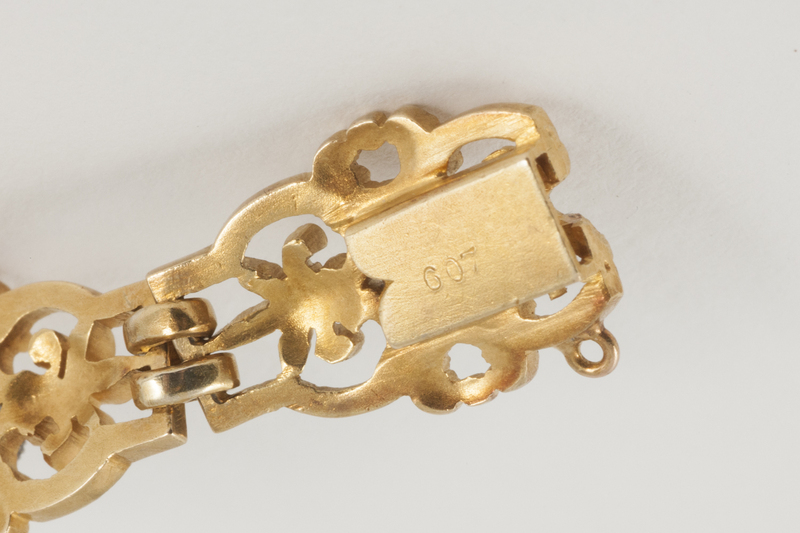 French marked.